Can anyone tell me the name of these flowers? In May 2016, I wrote an article titled ‘Culinary Heroes,’ which I subsequently uploaded into my personal blog. (https://jasbirchatterjeephotoblog.wordpress.com/2016/05/24/culinary-gods/). I hardly realized its importance at that time. For me, it was just another post. But I had a great time writing that piece because it was about people who had unfulfilled dreams and a definite purpose in life. I could easily identify myself with them. This post did not, however, get much attention on the web. Even after sharing it on Facebook and Whatsapp, all I got was a like or two. But gaining popularity has never been my goal, so this didn’t bother me at all. Being able to write the way I do is rewarding enough for me. 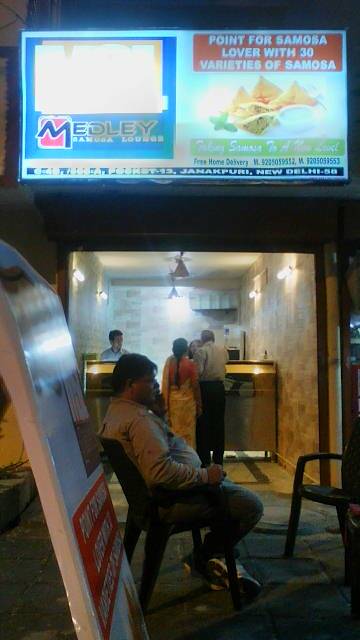 Well, on the opening day, around July 2016, when I reached Deepak’s shop in Janakpuri, I was really impressed. 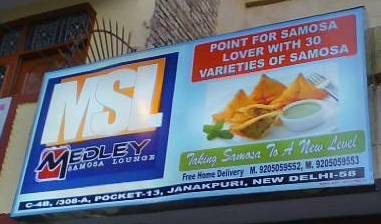 His shop had a classy exterior and the interior was tastefully designed with all the latest technology available to ensure that the samosas served to customers are tasty, safe, healthy, and also reasonably priced. Here are some pics of this shop. A year later, Deepak called me again. This time, it was for the opening of his second shop in Uttam Nagar! His wife Neena has quit her full-time job in a telecom company and she is now his business partner as well. 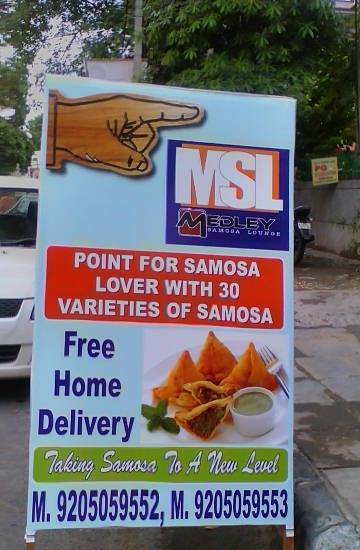 Here are some pics clicked during our recent visit to his second shop…As you must have noticed, from 30 varieties of samosas, Deepak has graduated to 56! Wish you all the best, Deepak and Neena! I look forward to visiting your third outlet next year… May God bless you both with joy and success in everything you do.